Last night, Taylor Swift premiered her new music video for “Look What You Made Me Do,” and it was met with reactions. The stans were screaming, “YAS,” and everyone else was like, “Hmm, okay.” No matter what you think of it, it’s clear that Swift had a vision. One of those visions was seizing every narrative that’s ever been crafted about her and monetizing it. 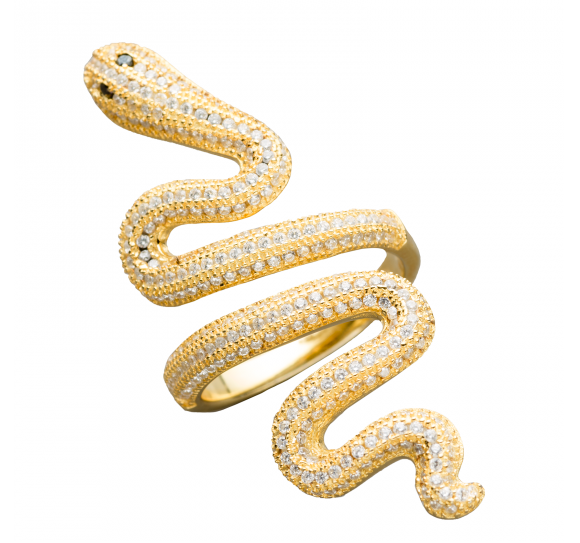 Swift’s online shop features snake accessories and something a little more subversive. Remember that “I Heart TS” tank that Tom Hiddleston was spotted wearing in the ocean last July 4th at Swift’s Rhode Island house? The very same shirts that were featured in her new music video on her backup dancers? Yeah, Swift sells “I <3 TS” shirts now. In her online shop, she sells them for $50 a pop. She also sells a crop-top version. To think that a thing everyone made fun of is going to be worn on the backs of every pre-teen fan in the audience at her shows is mind-boggling. If this is something you’re into, you can buy it here. Also, just because the symbol needs to be mentioned, Swift has $60 snake rings in her online shop as well. Back when “I <3 TS” was only a Hiddleswift meme, Hiddleston himself explained how he came to wear said shirt.